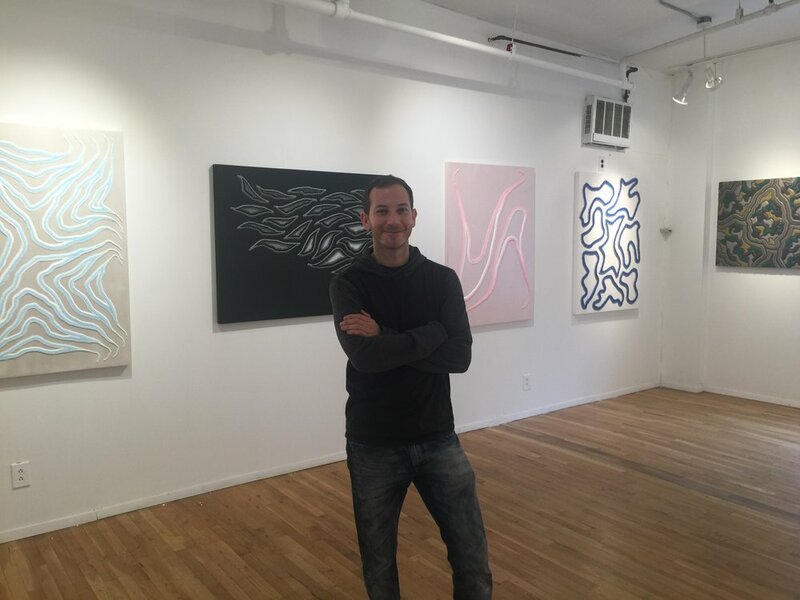 His paintings are noted for breaking the ‘3rd wall’ with their three-dimensional textures and use of a proprietary painting technique designed and developed to provoke conversation by reaching out to the casual viewer. His artwork is currently on display in galleries in Los Angeles and New York City; and he has exhibitions lined up over the coming twelve months in England, Italy, Germany and Asia. Gareb recently showed at Scope Miami during Art Basel and is the Artist in Residence at The Pivot Gallery in Chelsea, New York City.